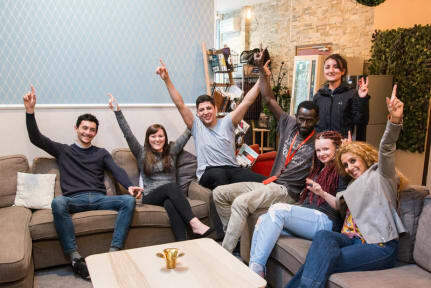 Trendy Hostel i Paris, Frankrike: Bestill nå! This hostel was a very nice experience! The staff was kind and helpful, and it was a good atmosphere in the place. I would recommend this place both if you want to experience the city center of Paris, or if you want to go to Disneyland. 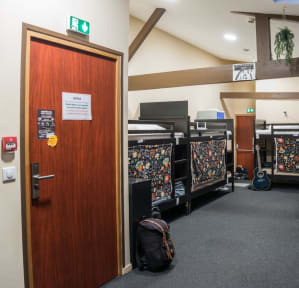 stayed one night at this hostel, and was only passing through Paris on my way to Belgium, so wasnt really there as a tourist. The hostel is a bit off the beaten track, but you get around everywhere in Paris using the metro - so dont let the location scare you off. Friendly staff, nice and clean facilities (also with the possibility of doing laundry). Slept in bunk-beds, where the lower one had a curtain around it, which gave some privacy - neat. Clean toilettes and shower.